Hello and welcome to the 683rd installment of the SWD. Vehicle-borne improvised explosive device wounded nine civilians in the city of Azaz. One of the wounded civilians was transferred to a hospital in Turkey. 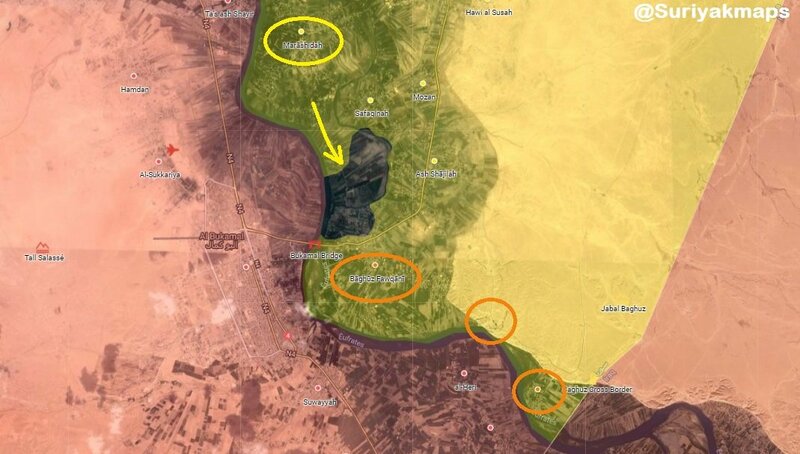 Syrian Democratic Forces fully captured the village of Marashida and several positions in northern Baghouz Fawqani from the Islamic State, as clashes between the two still continue in the nearby fields. Improvised explosive device killed one and wounded two civilians at the outskirts of Mahajah city, north of Daraa. Two elements of the Afghan Local Police surrendered to the Islamic Emirate of Afghanistan (Taliban) in Seydan area of Gizab district. Islamic Emirate of Afghanistan overran an Afghan National Security Forces’ post in Babarhi area of Arghistan district. Seven elements of the Afghan National Security Forces, including commanders Toran and Tor Jan were killed, while four elements were captured in the encounter. Islamic Emirate of Afghanistan seized a pickup, two PK machine guns, and 13 assault rifles from the post.